"I carry tension with me every day." "I worry about tomorrow and fail to enjoy today." "I feel I must be perfect." "I am hurting those I love." "I believe I'll never be happy again." 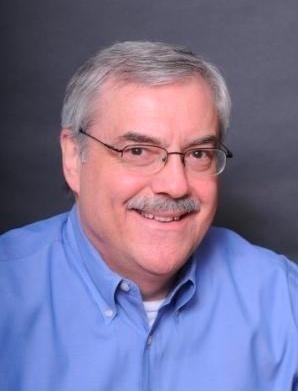 Memphis Psychologist Dr. Lee Horton, Ph.D. has been helping individuals find a happier, more satisfying life for over 25 years. With his experience, you can trust he will understand your situation. His approach will help you to understand your struggle and provide you with a path to a happier life. "My clients come to me struggling with their mood or relationship, but end up finding a path to a happier life," states Dr. Horton. Take the first step now. Schedule an appointment today. It's easy. All you need to do is click the button to reach my online scheduler. You will then be able to see my schedule of available appointments. Do it today! Each year there are over one million divorces in America. Each divorce is preceded by a marital crisis. 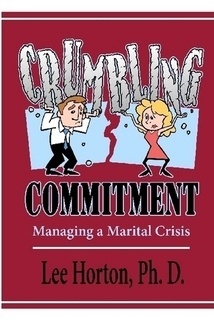 A crisis begins when a spouse's commitment to the marriage becomes uncertain. The message, "I'm not sure I want to be married" brings a cascade of emotion. Deeply hurt and wanting desperately to save the marriage, the rejected mate grasps-often destructively-for something to preserve the relationship. Crumbling Commitment: Managing a Marital Crisis is a lifeline for those who are left feeling helpless and powerless to respond to their distancing mate. From the initial shock that comes with the knowledge that one's spouse is not committed to the marriage to the final decision to reconcile or divorce, this book helps the reader to make decisions and regain power in each stage of the marital crisis. Schedule an appointment with Psychologist Lee Horton, Ph.D. for Psychological Counseling Services across Memphis, Germantown, Southaven, Lakeland, Olive Branch, and the surrounding areas. Copyright © 2018 - Lee Horton, Ph.D.